Many of you signed up a few weeks ago to be the first people to test out our New Release of our website builder. We had hundreds of volunteers. We are now at the point were we would like to start beta testing and will be contacting some of you to help out. Emails will start going out Thursday, April 4th to those who have been selected. These emails will explain how to 'turn on' the new design tools for your website and switch over. It will also explain where and how to report any bugs you find. 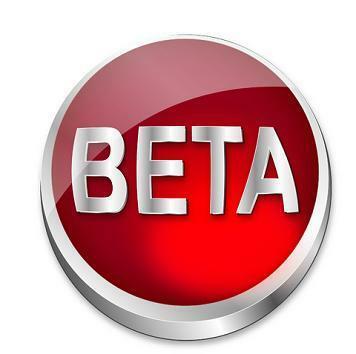 Beta testers will be added gradually. Will will start with a small group of about 15-20 websites. As we feel more comfortable, we will add more. Hopefully this will progress rapidly and we will be able to roll out the New Release to everyone within just a few weeks. We are excited to reach this point and thank those of you who volunteered! We can't wait to show off our new design tools! What happens to the changes that beta testers make to their websites when the new system goes live? Will the modifications stay in effect or will they need to be redone? They will be permanent. There will be no new upgrades for the actual release. All that will consist of is just opening up the new tools to everyone. They are already out there and being used on a few sites now - including Doodlekit.com.